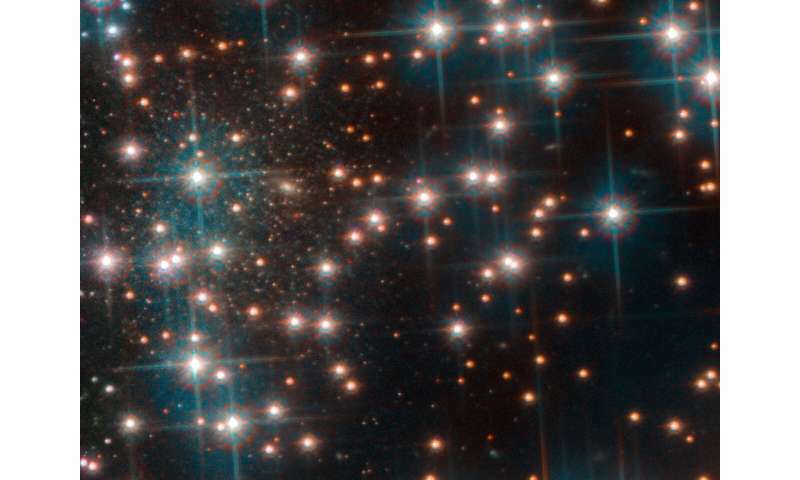 This image, taken with Hubble's Advanced Camera for Surveys shows a part the globular cluster NGC 6752. Behind the bright stars of the cluster, a denser collection of faint stars is visible—a previously unknown dwarf spheroidal galaxy. This galaxy, nicknamed Bedin 1, is about 30 million light-years from Earth. What means to you if a star has your name 2 billion years away? You will be unable first of all to spot it.